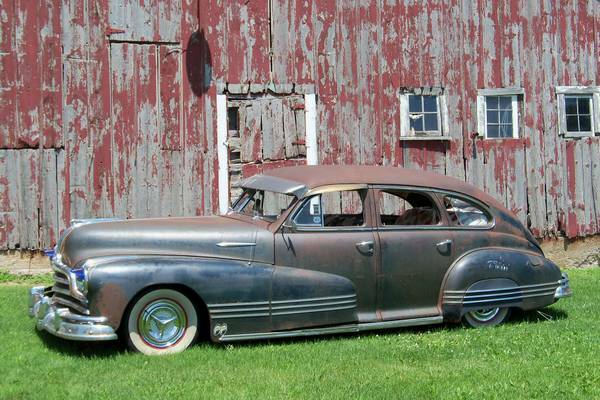 What is it about patina that draws us near? My theory is that it is a Momento Mori of sorts; a reminder of our mortality and frailty. We should all be so lucky so as to age as well as this Pontiac and still get around under our own steam. 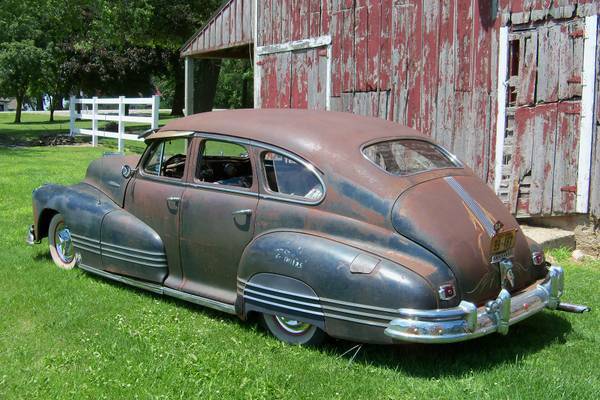 Find this 1947 Pontiac Streamliner for sale in Mason City, IA for $8,500 via craigslist. Here is an example of American steel that seemingly went overlooked like most of its contemporaries. Not useful at the stoplight and obsolete in every way, this car was likely left somewhere decades ago and eventually forgotten. It is pretty easy to see why this imposing car was spared the crusher, though. It has character in spades not even time and the elements have destroyed its majestic shape. Big 1950s cars in similar condition are not difficult to find. What sets this one apart is its drivability. Barn finds that look like this usually have locked-up engines and deteriorated rubber pieces, but the seller claims that this one runs great. We are happy to see that this car retains its original driveline and has only minor modifications to include lowering and some pinstripes. This not a rat rod, restomod, restoration or hot rod. It is more of a snapshot of a car in a rather advanced state of decay. While it is not terribly useful anymore, it is fascinating in a way similar to the industrial ruins of Detroit. It is aging and mortal, yet still alive and beautiful. Just fascinating in design and beautiful sitting in its current state. Wish I had the cashola for this one, its a dream machine. Look at that dash! Complete with necker knob on the wheel! This thing is so totally rad -- great write up Andy!! Not sure if it was a wanted joke (my English may not be perfect, so sorry in case guys), just wanted tto confirm the exact citation is mEmento morí. * mori - not "morì"
It is funny I came across this write up. I bought this car. 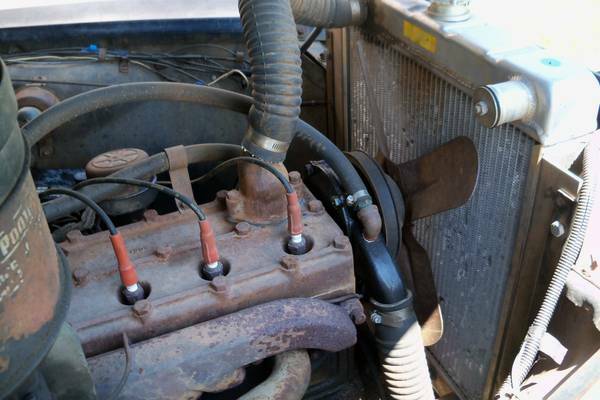 I was doing a google search for some parts and saw a photo of my car. 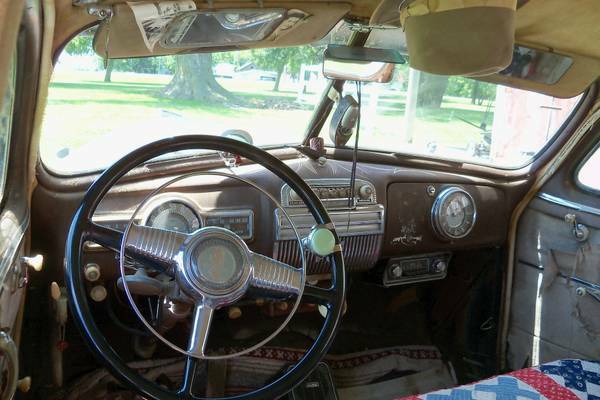 I am so happy with this Pontiac, and am pleased to see that there are others who appreciate it for what it is.